DES PLAINES, Ill.—Flooded vehicles have finally stopped arriving at the Royal Purple Raceway east of Houston. Some 23,000 now await processing and retitling to be auctioned off for parts or to be scrapped. 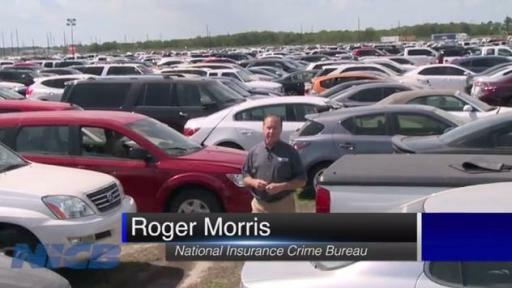 That is just one of several insurance industry salvage locations where more than 422,000 insured vehicles damaged by Harvey have been taken for processing. According to the National Insurance Crime Bureau (NICB), these totals surpass the number of claims that resulted from Hurricane Katrina (approx. 300,000) and from Superstorm Sandy (250,500). In addition, more than 215,000 claims have been filed following damage to vehicles from Hurricane Irma in Florida. These insured vehicles will be processed and rebranded with a salvage title and sold at online auctions to dismantlers who will save usable parts or have the vehicle crushed and sold for scrap. Watch our video report here. The VIN numbers are entered into the NICB’s VINCheck database, which is free to the public and will indicate the vehicle has been damaged and branded. They are also entered into the National Motor Vehicle Title Information System (NMVTIS). Unfortunately, owners of even more vehicles no longer carry comprehensive coverage that covers flood damage and those vehicles are not part of the system. The owner should request a new branded title, but that may not happen. In fact, many flooded vehicles that weren’t insured will be cleaned up and sold with no indication of any damage. 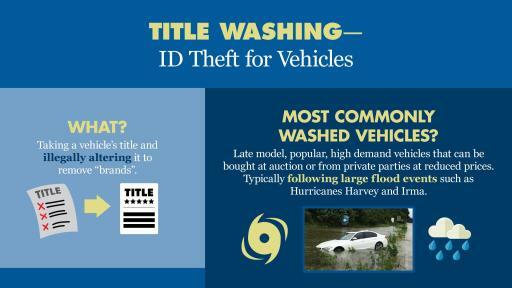 Some unscrupulous buyers will also buy a branded vehicle, clean it up, and take it to another state where they will obtain a “clean” title and sell it with no warning that it has been flooded. 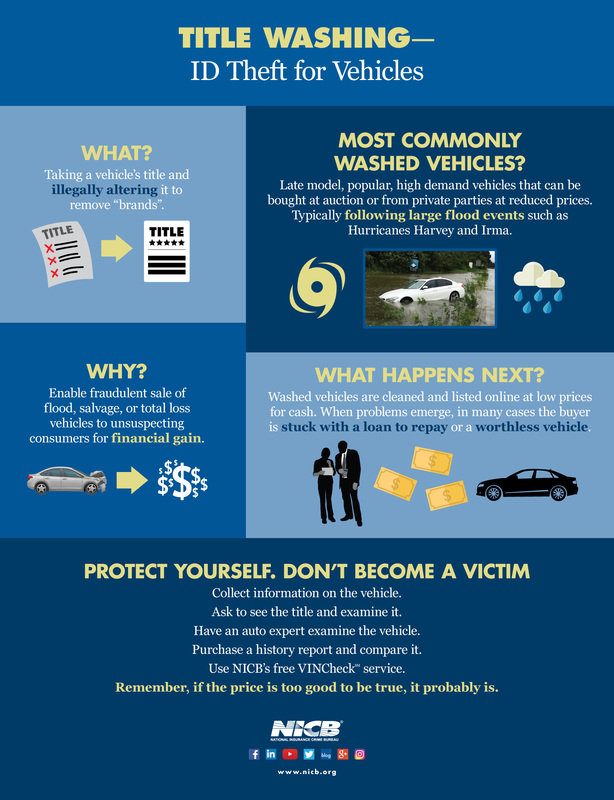 Anyone looking to buy a vehicle in the weeks and months ahead should be on the lookout for hidden flood damage. Here are some tips.